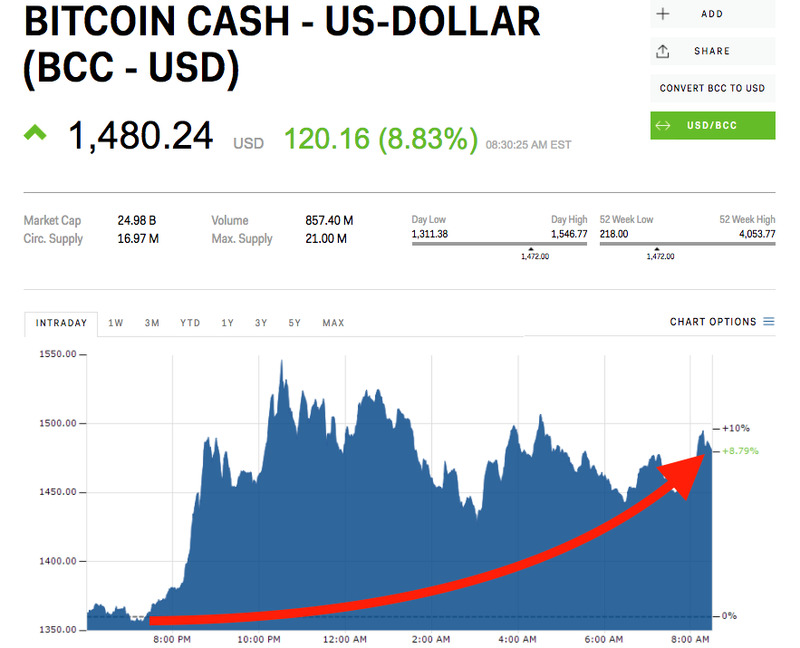 Bitcoin cash was up 8% Friday morning, while other digital coins were in the red. The cryptocurrency has been accused of misleading investors by piggy-backing off the bitcoin name. Bitcoin cash was up more than 8% Friday morning, while most other major cryptocurrencies were in the red. The third-largest cryptocurrency by market cap has seen a volatile start to the year, with price swings well over 40% in either direction. Bitcoin cash was trading at $US1,476 per coin early Friday, up 65% in the last three months, but well off its December high of $US4,053. 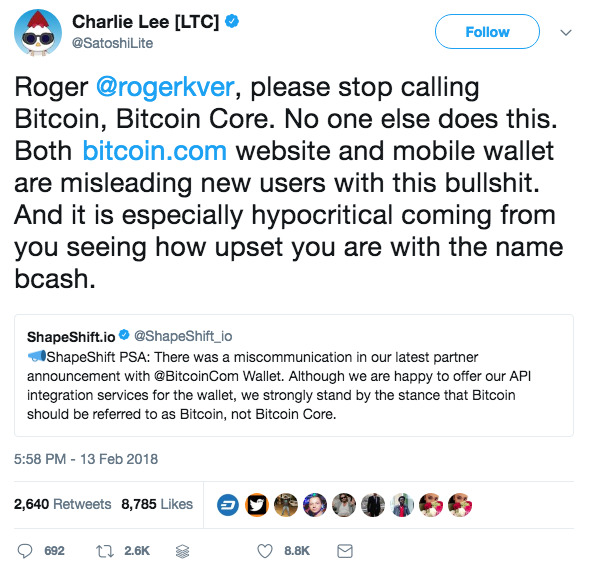 Bitcoin cash, which split from bitcoin in August 2017 has been accused of misleading investors by piggy-backing off the bitcoin name. It is completely unrelated in every aspect except its name. 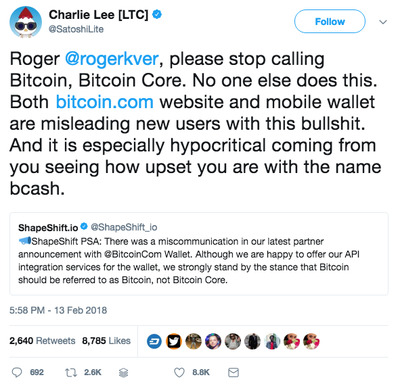 Vocal bitcoin cash supporter Roger Ver, who owns bitcoin.com and refers to bitcoin as “bitcoin core,” has appeared on numerous alternative internet talk shows like InfoWars to promote the coin. Bitcoin is down 2.54% Friday morning, Ethereum and Ripple’s XRP are down 0.14% and 1.24% respectively.